Tashi Deleg! Further to previous circular, we are now delighted to send some additional details of our forthcoming annual event – Celebration of His Holiness the Dalai Lama’s 81st Birthday. We hope many of you are excited and must be looking forward to this joyful celebration! We are celebrating His Holiness the Dalai Lama’s 81st Birthday at Sir James Hawkey Hall in Essex, which is only ten-minute walk from the nearest underground station – WOODFORD (few stops on central line from Stratford). This excellent venue is bit pricey to hire but it is perfectly suited for our growing community. Our lovely children and the TCB cultural group will be presenting traditional Tibetan songs, dance and music on the amazing stage. We will be decorating the stage with our recently commissioned Kundun’s Shugtri Brocades set! 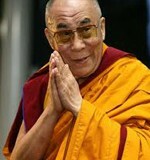 Please bring Khata (Tibetan scarves) as there will be Khata offering to His Holiness the Dalai Lama’s Portrait. A handful of volunteers, led by incumbent Sponsorship Secretary Dr Tamdin Bradley, will be cooking sumptuous Tibetan food in the star-rated kitchen! Oh yes, we still need some general helpers on the day! We invite some members to assist our 6 volunteer council members for an hour or so on the day to ensure the celebration goes smoothly. We will also be giving Community Awards to several of our members, who have made special contributions over the past two years, as recognised by the incumbent Council. Finally, we shall be accommodating a few slots for hidden talents on the amazing stage. So, do please come prepared or contact us in advance! Nearest tube station: Woodford (Central Line). There are also plenty of parking spaces for cars. Please remember to buy your tickets in advance a.s.a.p. Donations welcome: We welcome donations from our members and friends to support the work of our community.